The Department of Classics offers instruction in the civilizations of ancient Greece and Rome, including their languages and literary traditions, art and architecture and history. The study of Classics immerses a student in a rich artistic and intellectual tradition, which has inspired some of Western civilization’s greatest achievements. Widely regarded as the heart of a liberal education, Classics provides students with a broad and deep familiarity with the foundations of Western law, democracy, ethics and history, as well as an appreciation of literary and visual arts and a thorough understanding of grammar and language. In the Department of Classics at F&M, students enjoy being part of a close-knit community where professors get to know students as individuals, giving each student the opportunity to receive an education tailored to his or her interests and goals. Our faculty are active scholars with broad interests, who publish in the most prestigious national and international journals. They are also committed teachers dedicated to providing students with a first-rate major through classroom work, independent study, and study abroad. With a breadth of study that is uncommon at liberal arts colleges, our department offers specializations in Classical Society and Classical Languages and Literatures, which prepare our graduates for careers in law, medicine, business, banking, insurance, government and teaching, as well as continuing study in graduate programs here and abroad. Students of Classics gain a solid mental discipline, keen analytical skills and the ability to weigh and assimilate information from a variety of media and subject matters, enabling them to become productive, thoughtful and successful citizens of a rapidly changing world. Eta Sigma Phi-Theta Alpha chapter is the Classical Honors Society here at Franklin and Marshall College. You are eligible to join if you have passed a 201 Ancient Greek or Latin Class with a B+ or higher. You do not have to be a Classics major or minor. You just have to come in with an enthusiasm for the ancient world! 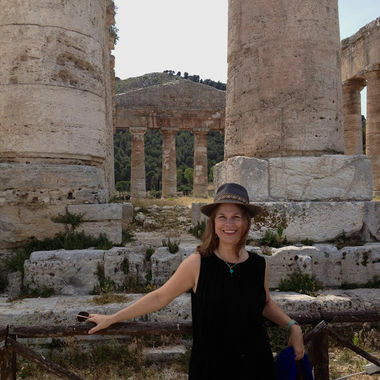 Sophomores who declare a major or minor in the Department of Classics are eligible to compete for the departmental Summer Foreign Travel Award, providing a student with the opportunity to spend a summer in an ancient land.